The Stephan family 2018. Photo source – The New Agora . 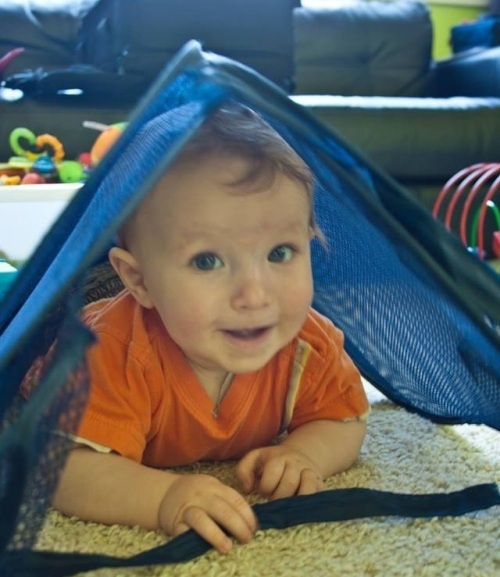 The Supreme Court of Canada issued a stunning reversal this week in a case that could have far-reaching implications for parental rights. David and Collet Stephen were convicted last year of “failing to provide the necessaries of life” when their son Ezekiel died. David Stephan told Health Impact News that this was “definitely good news.” This puts their case basically back at square 1. While they are not looking forward to going through trial again, they are hopeful that they will be vindicated. 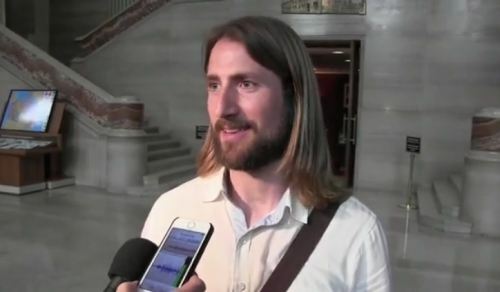 David Stephan was happy about the Supreme Court decision in his case on Tuesday. Photo source . We knew that there were elements of cover-up, but we couldn’t even fathom the significant amount of cover-up on all levels. The irony is that, had the state left the parents alone to grieve the loss of their son instead of blaming them for something they didn’t do, the Stephans would never have suspected how deep all of this goes. As bereaved parents often do, they were busy beating themselves up with “could haves” and “should haves.” They likely would never have thought to question the hospital and doctors’ version of what happened. It was only as they were forced to defend themselves that they recognized that there was much more than they were being told. Ezekiel was very much loved. Photo from Prayers for Ezekiel  Facebook page. The story of Ezekiel’s death made international news as the Stephans were blamed for not getting medical care for meningitis. The more the story was told in the media, the more outlandish it got. It was a media circus. 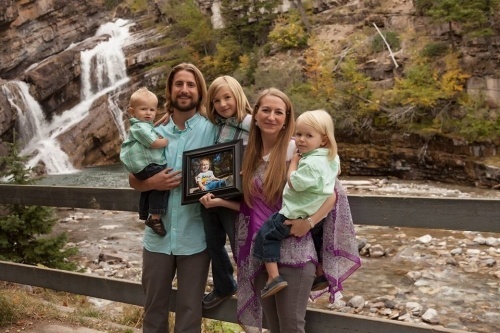 From the Canadian press to the Huffington Post, the Stephans were accused of treating meningitis with maple syrup and garlic, neglecting proper medical care. Media told the public that they waited until his body was too stiff to go into his car seat. Almost NO media told the truth about their story. Even now, mainstream headlines refer to the child having died from meningitis. The narrative appears to be designed to support an agenda of compelling parents to vaccinate, ridiculing parents who choose more holistic or natural methods of treatment. However, there was no evidence that he actually had meningitis. His symptoms were more like a cold or flu than meningitis. On the day before he stopped breathing, a friend who was an emergency room nurse came over to check on him, but found nothing alarming about his symptoms. The autopsy was not conclusive as to cause of death. This is information that came out during the original trial. In the absence of the medical misadventure during the paramedic intervention, it is most likely that the child would have survived. Dr. Anny Sauvageau. Photo source . 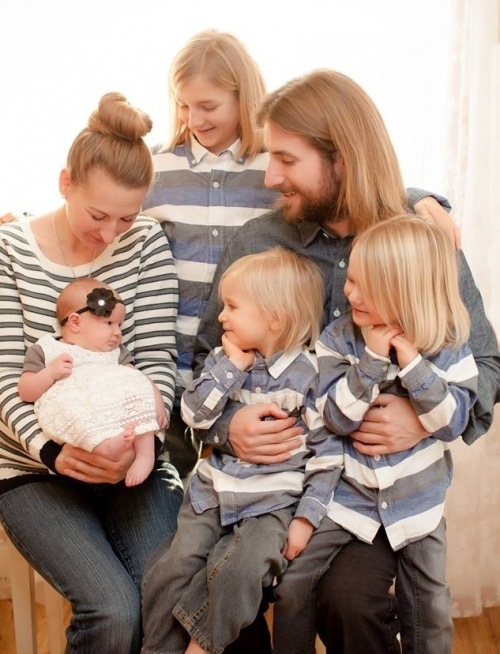 This testimony was not reported by the mainstream media, but it was included in our coverage at Health Impact News of the Stephan family’s story in 2016. We also included a link to Dr. Sauvageau’s full report of her expert opinion: 15.4 Report April 16 . See article here . After the Stephans lost the trial, an investigative team was hired to dig deeper to try to find out what went wrong. What they found is shocking. 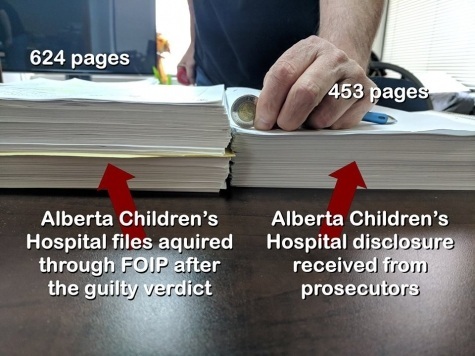 For the trial, there were 453 pages of medical records used in court. Scientific Reporter, a web-based media outlet, reports in a video  that the investigative team requested a copy of the medical records after the trial. They obtained 623 pages. They found that the records previously released had been cherry-picked in order to present a particular picture of the events surrounding Ezekiel’s illness and death. Once they were able to examine the additional records, a very different picture emerged – one that supports the parents’ version of events. Even so, the family does not have all of the records. There are at least 30 pages missing, covering at least an hour and 15 minutes of time that little Ezekiel was under medical care, away from his parents. The investigators were able to piece together some events from the notes of a doctor who was on a call with the medical team who were with the child. It was not until these records were obtained that the Stephans learned that their little boy suffered 3 heart attacks between the time the ambulance picked him up and he arrived by helicopter at another hospital. a tear in the trachea is evident in the same x-ray. Upon further investigation we found autopsy photos where a deep gouge in the pleura covering Ezekiel’s spinal column is present directly under the tear in the trachea. This tear would result in aspirant, that was identified in the 911 call transcripts, leaking into Ezekiel’s thoracic cavity and resulting in a massive lung infection that the medical examiner would list as one of the causes of death. Further investigation would uncover perjury and falsification of documents by two Doctors in Cardston who administered to Ezekiel. We were able to discover evidence that both [doctors] perjured themselves in what appears to be an effort to distance themselves from the botched intubation procedure. The events leading to the trachea tear in 18 month old Ezekiel were caused by an undersized intubation tube being inserted with enough force to not only tear his trachea but to also leave a deep gouge in the pleura below the tracheal tear…. No attempt to repair the damaged trachea can be found on record or in court transcripts. Interviews with family members who were present after the injury took place, present no indication of knowledge of attempts to fix the fatal injury. This would suggest that the medical professionals were actively attempting to cover up the medical error that took place in Cardston Hospital. 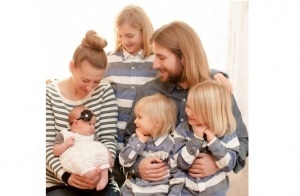 The Stephan family, early 2016. Photo provided by family. The investigators also found evidence that Ezekiel was given a drug commonly used to keep patients from pulling out tubes. He had a reaction to the medication. The notes indicated that doctors were aware that Ezekiel had an electrolyte imbalance that would make the drug he was given extremely dangerous to him. The notes along with testimony, show that he suffered a second cardiac arrest immediately after the drug was given to him. Doctors in Lethbridge ignored the medical warnings provided by the drug manufacturer and the critical lab data from the Cardston Hospital. This resulted in a second cardiac arrest and a catastrophic level of brain damage. It was recorded after the drug was given to Ezekiel, that an ongoing cardiac arrest would take place for almost two hours. The more information that the family learns, the more that it is apparent that something went very wrong once their son came under medical care. Many details were suppressed or covered up. Between suppressed evidence and blatant misinformation being fed to media, what chance did they have at a fair trial? The media and the state have demonized David and Collet Stephan. The easy answer to the tragic death of the child is that they simply refused to vaccinate for meningitis and allowed their son to die from something that could have been prevented by a simple shot. If they can maintain the illusion that the story is just that simple, it is easier to manipulate parents into compliance with the “recommended” vaccines, out of the fear that they could go to prison if anything happens to their child. Thanks to the Supreme Court of Canada, David and Collet Stephen will have the opportunity for the evidence about what happened to their little boy to be heard. The Crown’s case seems to be unraveling right before their eyes. Praise be to the Lord God almighty!! Justice over the errors of our conviction has finally been served, our convictions have been overturned and we now have the opportunity to go back to trial. Even though the idea of enduring 4+ weeks of court is deeply uncomfortable for us, we take comfort in knowing that aside from the medical evidence that is still withheld or destroyed, the whole truth will be established and the tremendous lies surrounding the passing of our son will be exposed. In the light of truth and love, we look forward to exposing this corruption as it will serve to uphold the God given liberties that are paramount in maintaining the sanctity of parents and the family. May the truth be revealed and may the love of God prevail! From early in their case, he could read the writing on the wall. He saw that the Canadian government was trying to make an example out of them, using their version of what happened as a means of chilling parents rights. You can follow their story at the Prayers for Ezekiel  Facebook page.